"We looked at the physical mechanism of locomotion of soft-bodied caterpillars and jellyfishes and took inspiration from them. The result is that our millirobot is a mix of small-scale soft-bodied animals, such as a beetle larva, a caterpillar, a spermatozoid, and a jellyfish", says Prof. Metin Sitti, Director of the Physical Intelligence Department at the Max Planck Institute for Intelligent Systems in Stuttgart. His team's robot invention will be published in the February edition of the prestigious scientific journal Nature. Online the scientific paper was already published late on Wednesday 24th January. 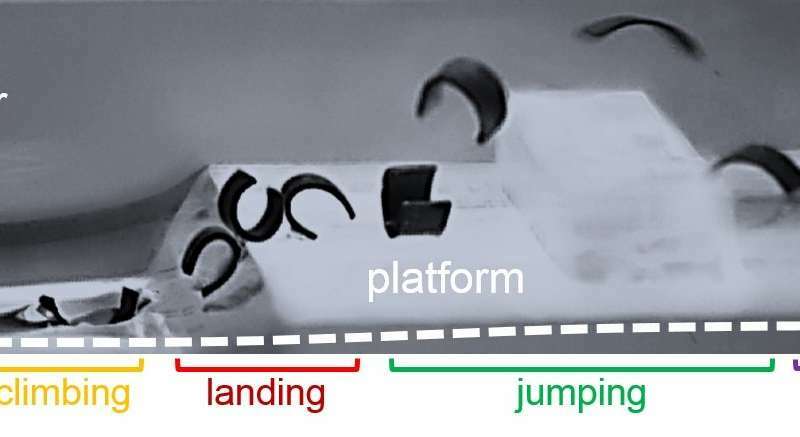 The scientists use external magnetic fields to exert torque on magnetic particles embedded inside the soft elastomer body of the robot to change the robot's body shape and steer it around. Through its body deformations, the robot can walk or roll on surfaces, jump over obstacles, crawl through narrow tunnels, climb onto the water surface curvature, and swim in or on water. It is this multimodal locomotion that lets the robot easily navigate and transit through different liquid and solid uneven terrains, making it unique. Additionally, it can pick an object up, transport and release it using its body shape-change control. "In the future, our robot can carry drugs and deliver them to a desired location where they are most needed, much like a doorstep delivery", Metin Sitti hopes. 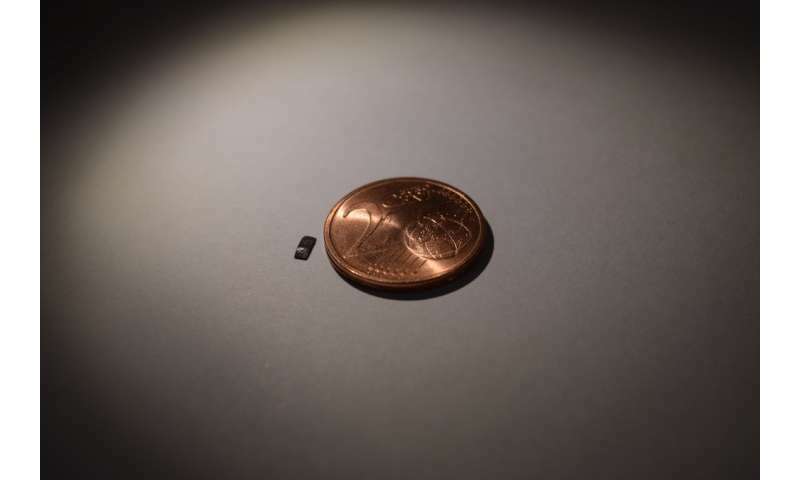 "We would use it for minimally invasive medical applications inside the human body: it would be delivered through swallowing or a cavity on the skin and make its way through the digestive or urinary tract, abdominal cavity, or heart surface." So far, the caterpillar-inspired soft robot has been tested within a synthetic surgical stomach model and chicken tissue. Sitti's team, consisting of Wenqi Hu, Guo Zhan Lum, and Massimo Mastrangeli, navigated and steered the robot successfully in such environments via ultrasound image guidance. Sitti hopes that one day, this robot will become a standard in healthcare, to enable a non-invasive access to enclosed spaces, such as the unprecedented or hard-to-reach tight regions inside the human body. "Currently it is not possible to access many small regions inside the human body without surgery, but our target is to reach such regions non-invasively and conduct diagnostic and therapeutic operations with our soft robots," Sitti envisions.